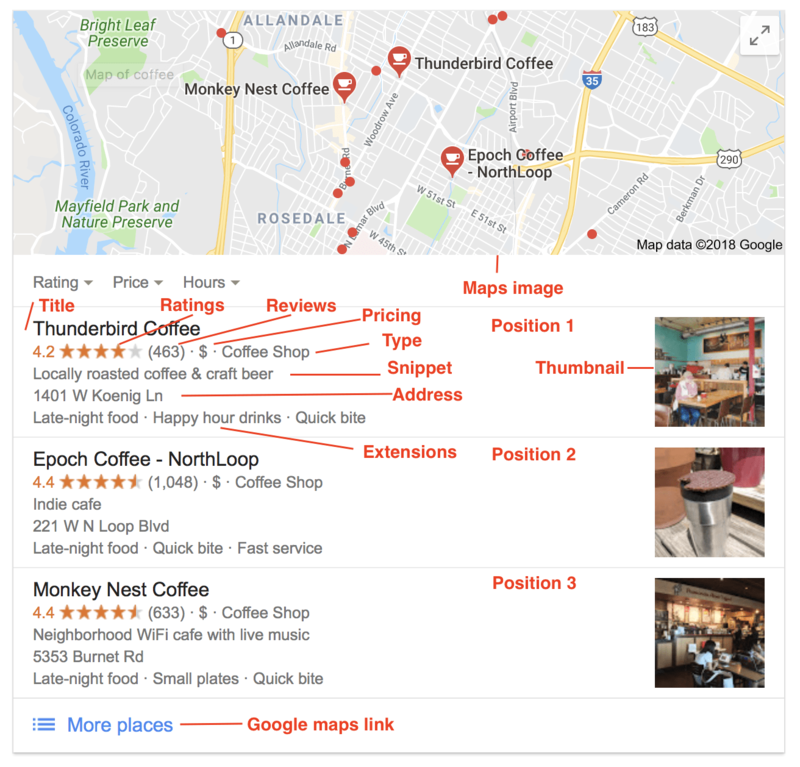 For some requests, Google search includes local results, called local pack, and a local map. SerpApi is able to extract and make sense of this information. When SerpApi encounters a local map and/or local results, we add them to our JSON output. From the local_map, we are able to extract link, gps_coordinates, and image. From the local_results, we are able to extract position title, reviews, price, type, address, description, hours, extensions, and thumbnail.